There comes a day for which all world was waiting. Yes, it's an official announcement of iPhone 5 from Apple. 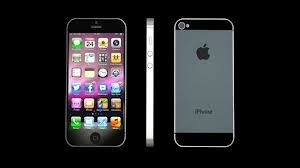 12th September was the day when Apple released its updated version in iPhone category named iPhone 5. The first change you can find is its physical design compare to other iPhone. You can see many changes at outer body having height and width and camera design. Apple iPhone 5 having 8 Mega Pixel camera having 3264x2448 resolution. Apple says iPhone 5 is the thinnest and lightest iPhone yet , weighing 112 grams (20% lighter than 4S ) and 18% thinner at 7.6mm. 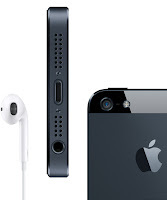 iPhone 5 supports new A6 chip which is integrated a CPU and graphic processor that is "two times faster" than A5 chip. The iPhone 5 includes "40% faster" 8 Mega Pixel camera with dynamic low light mode. The front camera is now 720p and video capture is said to feature better image and facial recognition. This iPhone 5 supports iOS 6 operating system which includes improvements such as updated Phone, Siri, Map and Safari apps, built in Facebook support and many more. Photostream can be used to share photos with other iOS user and Siri has beed updated to provide sports scores, launch apps and make restaurant reservation etc. iOS 6 will release on September 19 for iPhone 4S, 4, 3GS, new iPad, iPad2.